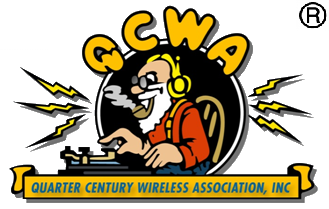 On November 1, 1995, Quarter Century Wireless Association established the first-ever World Wide Web Virtual Amateur Radio Museum (tm) Our goal is to show representative ham stations from each decade starting in 1900. . . . and we can still use your help. If you happen to have high-quality photos of an individual piece of gear (from the manufacturer's advertising department, for example) we would welcome those as well. Very 73, and enjoy your tour of the QCWA Virtual Museum.